Our executive source goes on to say that total volume is being debated, but that it will fall between 5,000 and 10,000 units. 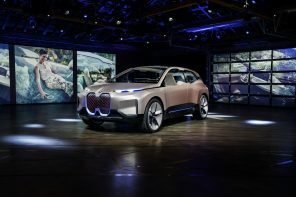 The prototype ‘s powertrain and basic sub-3,000-pound assembly will remain intact, but, says the source, “there will be less of the synthetic glass and more solid structure added to the final design. ” Uh-oh. We know why these alterations are needed, but does this mean it ‘s going to migrate toward being a sort of sleek Toyota Prius? Let ‘s hope not. 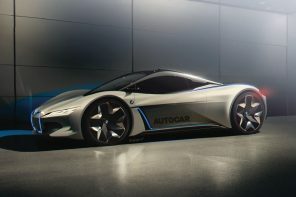 When we asked if this could finally be BMW ‘s second true production supercar after the Giugiaro M1, the response was a firm “quite probably. ” So maybe our Prius/Honda Insight fears are overreaching. It ‘d be nice to maintain that 0.22 drag coefficient and the hellacious looks. IL went on to mention that a real world test in the south of France would be happening for a few publications later this summer. Oh and those Prius fears? Obviously those of us who are close to BMW and it ‘s products know better. Based on what we ‘ve been told this car will redefine the term hybrid. Next articleBMW ORACLE Racing wins America\’s Cup. Wow! Surprising. Obviously we thought bits and pieces might make it to production in some future hybrid vehicles, but not all as one package with the kind of numbers they were claiming, especially the light weight. How would this fit in the lineup? Seems like a supercar should belong to ///M, but a hybrid 3-cylinder ///M product? Or maybe it’s just something totally separate and new. Drive-train and all that is nice – I look forward to them taking significant weight out of small cars. I’d still like to see a light sedan the size of the 2002 again. A very interesting move, one of the more lovely fresh design works from BMW I have to say. I for one would quite honestly look at a production model. I have long lusted over a diesel/electric hybrid and if this honestly comes to market I have a slot for one in my garage.